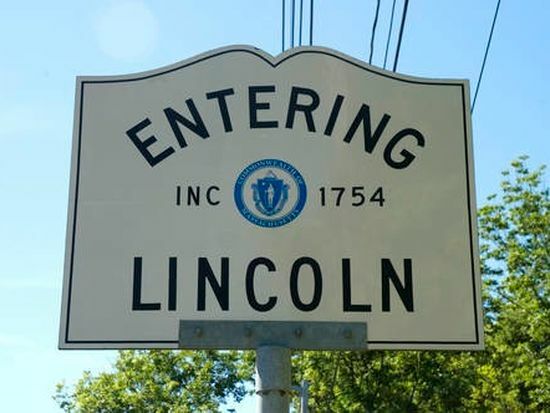 A quaint, historic town nestled just 20 miles from Boston, Lincoln is one of Massachusetts’ hidden gems. With a rich and luscious landscape, a long, storied past, and all the charm a New England town can offer, few places like Lincoln still exist in today’s fast-paced world. Lincoln’s history dates back centuries to 1654, when it was first settled by Europeans. It wasn’t until 100 years later though – in 1754 – that Lincoln became its own town. Nipped off from parts of nearby Weston, Concord and Lexington, it was playfully deemed “Niptown” by local residents. In years to follow, Lincoln would play a big role in American history. It was the place of Paul Revere’s capture during the American Revolution, and Reverend Charles Stearns, one of the nation’s most revered ministers, also laid roots in the area and served the town’s Congregational Church. Though time may have passed, the town still retains much of its historic glory and beauty. Residents can visit Bemis Hall, the Codman House and the Lincoln Center History District for a glimpse at still-standing 17th- and 18th-century architecture. Furthermore, the Bemis Hall Lecture Series offers expert insight into the days of Lincoln’s past. But Lincoln isn’t just for the history buffs. There’s plenty to do here for all ages - nearly every single day of the year. Lincoln is home to dozens of local groups and organizations, including Boy Scouts, Minutemen, a garden club, a land conservation group, the Lincoln Family Association and much, much more. There’s also a local newspaper, a community garden called The Food Project, and a contemporary art museum and sculpture park called the DeCordova. As far as amenities go, the town boasts a library, parks and recreation programs, a gymnasium, a pool, tennis courts and a winery. Hanscom Air Force Base is also located within Lincoln town limits. Children in the area attend Lincoln Public Schools, which includes a preschool, two primary schools and two middle schools. For high school, children head to Lincoln-Sudbury Regional High School, which GreatSchools rates an 8 out of 10 stars. It also boasts a student-teacher ratio that falls well below the national average, and proficiency rates in English and math are a whopping 97 percent and 94 percent, respectively. The nearby Minuteman High School also offers vocational and technical training for high school students, though an application process is required. In addition to Lincoln’s public schools, there are also numerous private school options in the area as well. These include The Magic Garden School and The Carroll School. As far as housing goes in this picturesque town, real estate prices in the area run the gamut, with a well-appointed condo running about $400,000 and more expansive, sprawling estates in the $800,000 to $1.5 million range. There is also ample acreage in the area for buyers looking to build their dream home from the ground up, as well as plenty of apartments, townhomes and rental properties for those looking for temporary housing. A quaint, quiet, and scenic town of just 6,000, Lincoln is the perfect place to call home. With amazing amenities, beautiful real estate, and bountiful educational opportunities, you won’t find a place like this anywhere else. Come visit Lincoln and see the beauty for yourself.